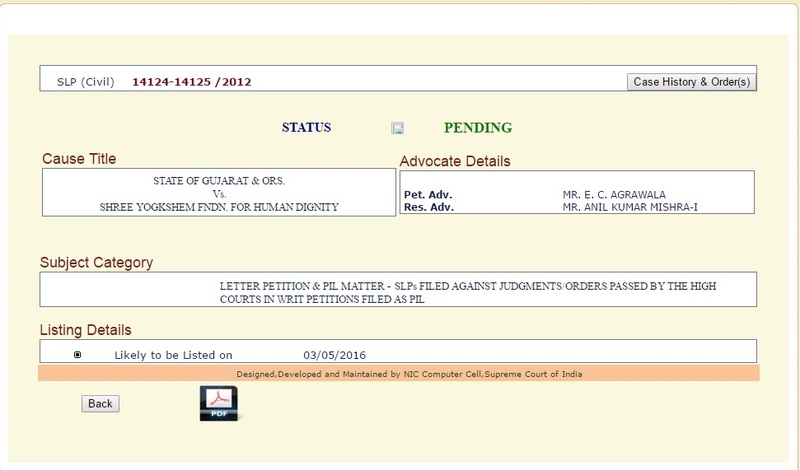 FIX PAY CASE UPDATES CASE NO :-17 IN SUPREME COURT FOR FINAL DISPOSAL. 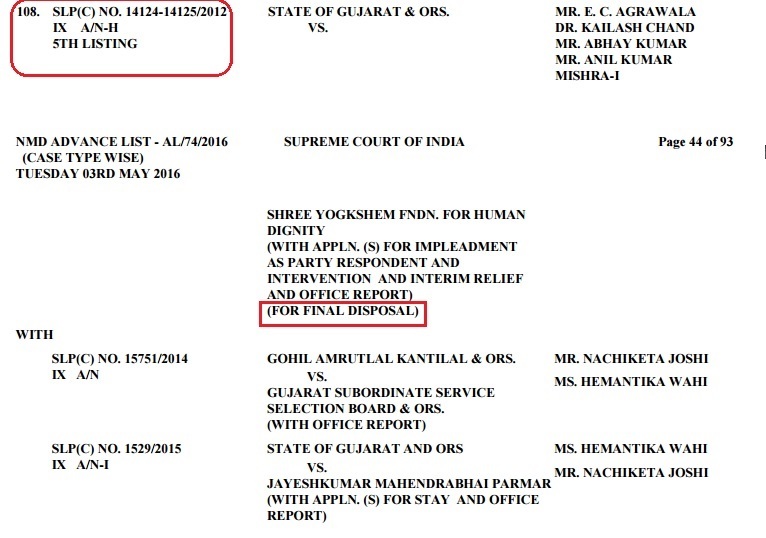 Supreme Court of India set new date for Gujarat Fix Pay Case hearing on 03-05-2016. 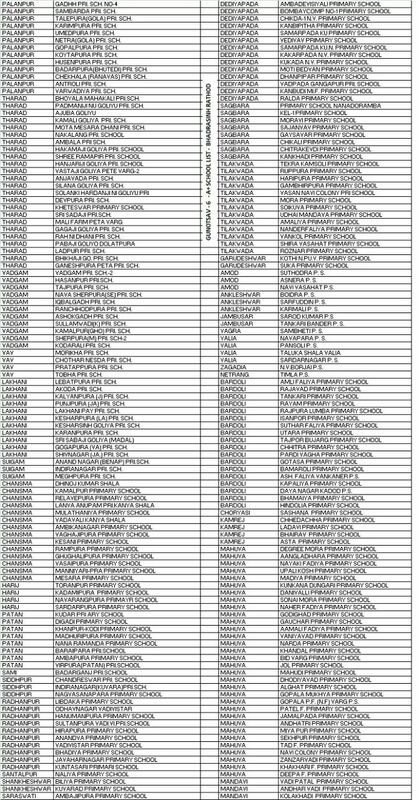 You can check status of Fix Pay case via Supreme Court official wesite courtnic.nic.in or below direct link. 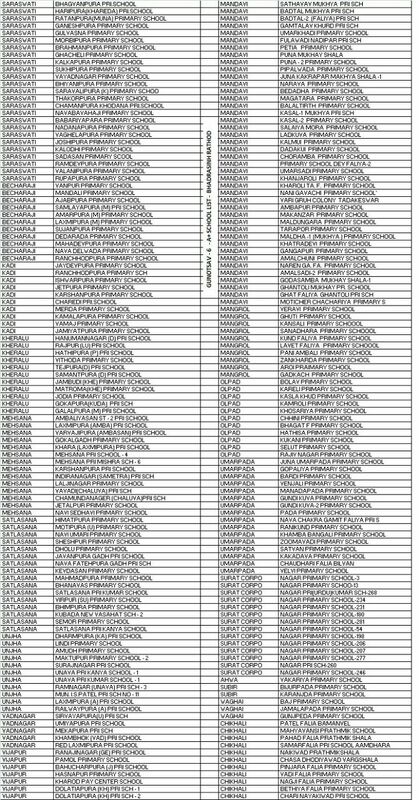 CASE STATUS IMAGE MATE AHI CLICK KARO. 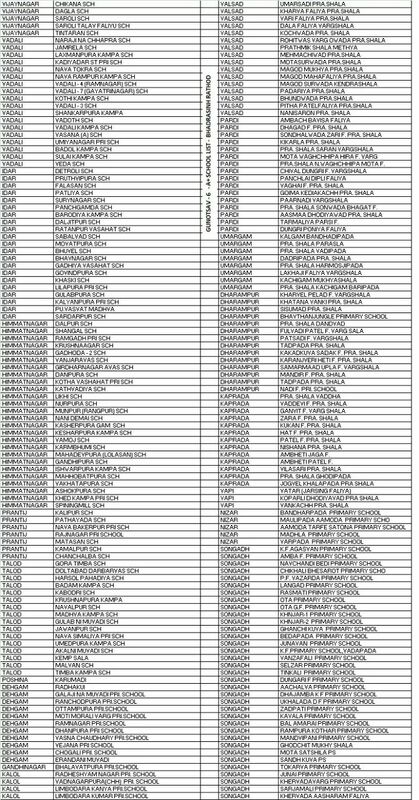 CCC All University Result Verification Link at Single Click. 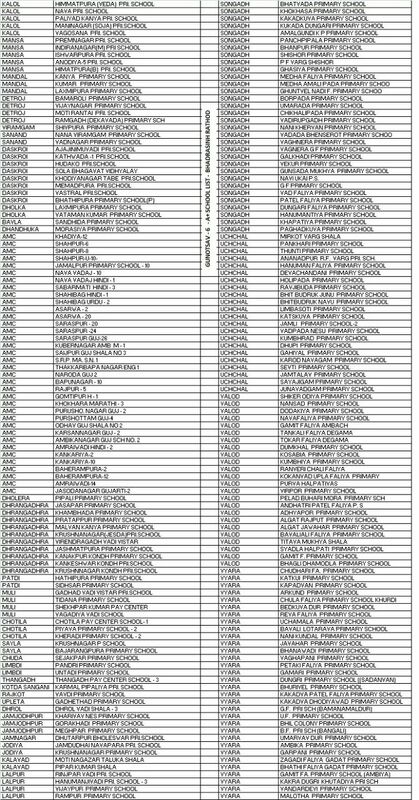 GUNOTSAV-6 ALL GUJARAT A+ GRADE SCHOOL LIST. 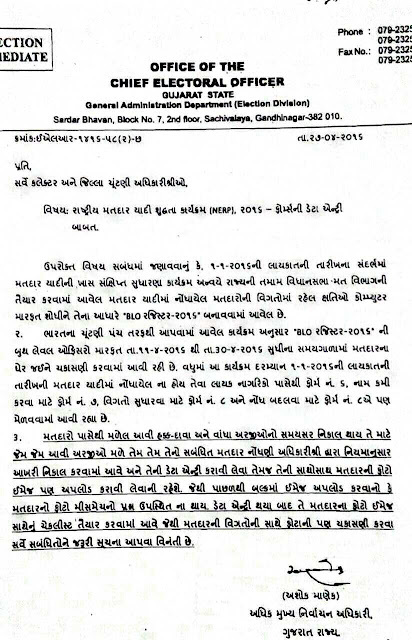 Court Master No Pay Grad Vadharva High court Ma Pitisan ...! 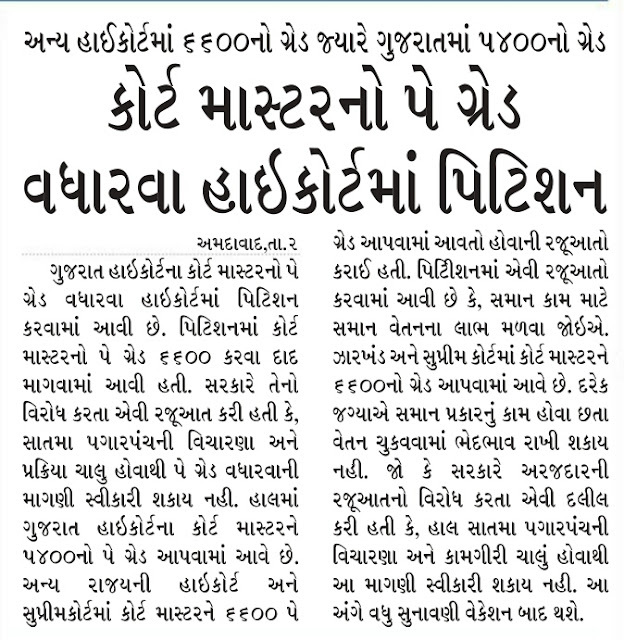 Gujarat Ma NEET Ke GUJCET Supreme Court Par Sauni Najar..! 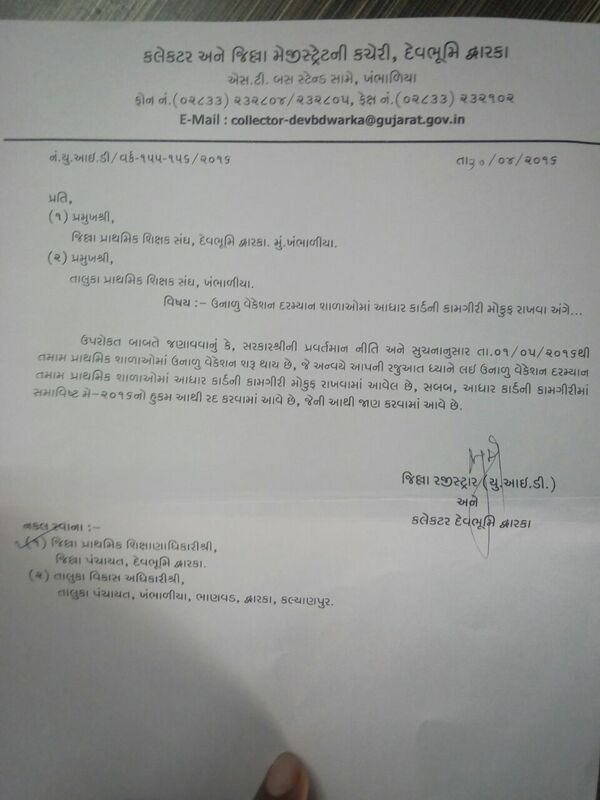 DEVBHUMI DWARKA AADHAR CARDKADHVA NI KAMGIRI MOKUF RAKHAVABABAT PARIPATRA DATE :- 30-4-2016. 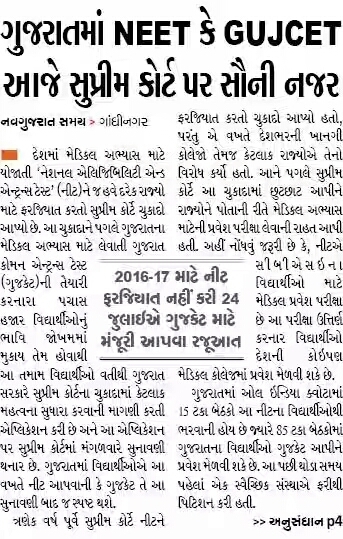 RASHTRIY MATADAR YADI SHUDHDHTA KARYAKRAM (NERP)2016 ANGE PARIPATRA. 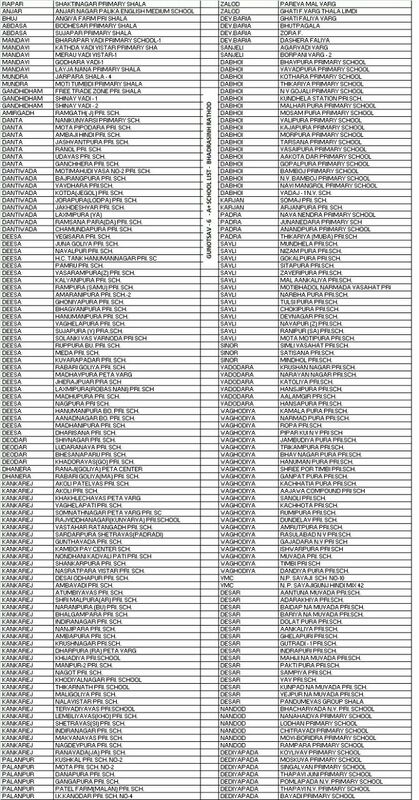 BREAKING NEWS :- VNSGU CCC EXAM REGISTRATION NOTIFICATION DECLARE. 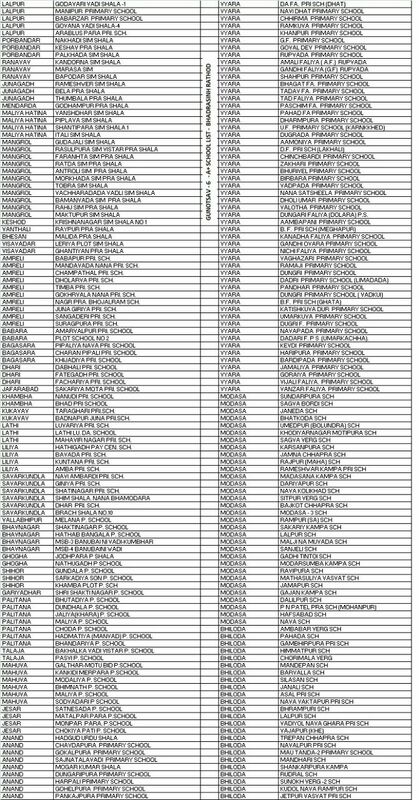 MS University CCC Exam Date 3,4,5,6 May 2016 Hall Ticket /Candidates List. AAJ NI RAJY SIXAK SANGH NI MEETING MA THAYEL CHARCHA NA MUDDAO MUST READ. (1) Prgna vargni samixa sarkar kare. 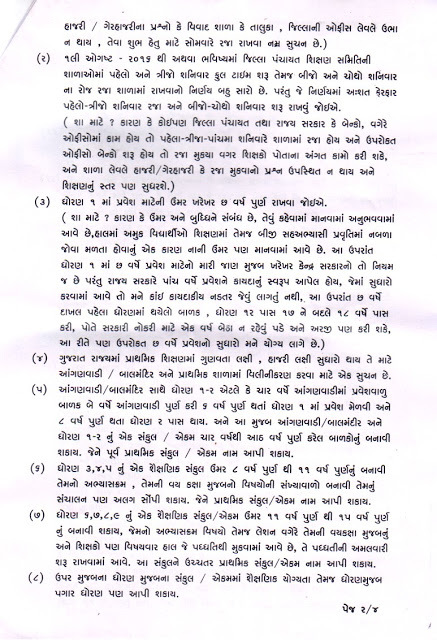 (2) Vidhyasahayakne 2 varshe nivruti same full pagar ma leva. 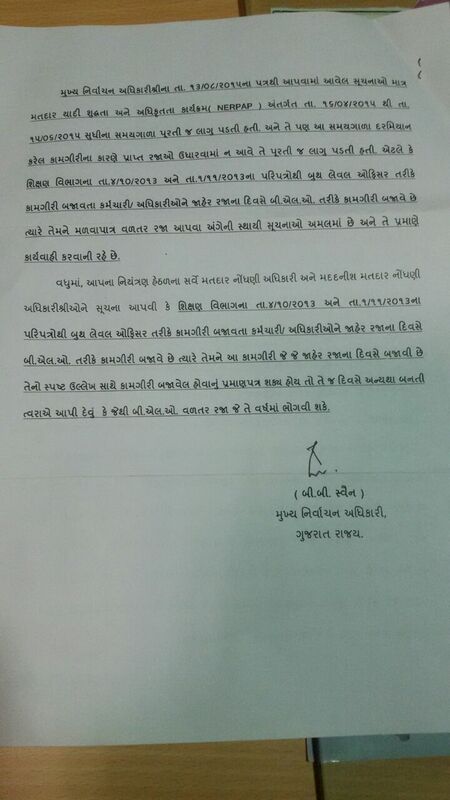 (3) Uchtarma javano pachho vikalp apva babat. 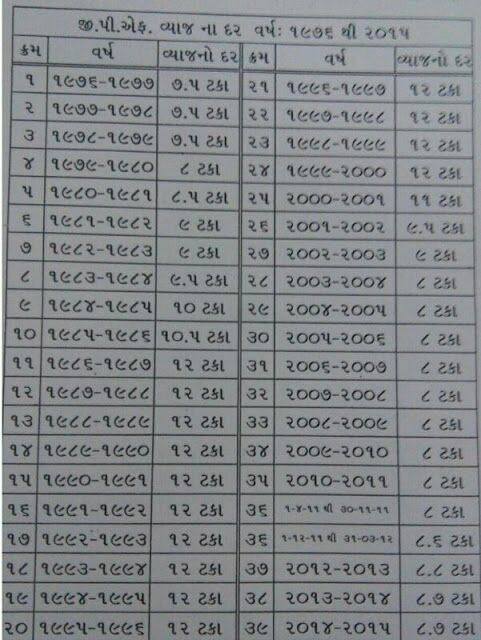 (4) Pey sentar ne alg thi vishes kantijanshi apvi . (5) Shishyvruti junma ask sathe akhi salani chukvay. 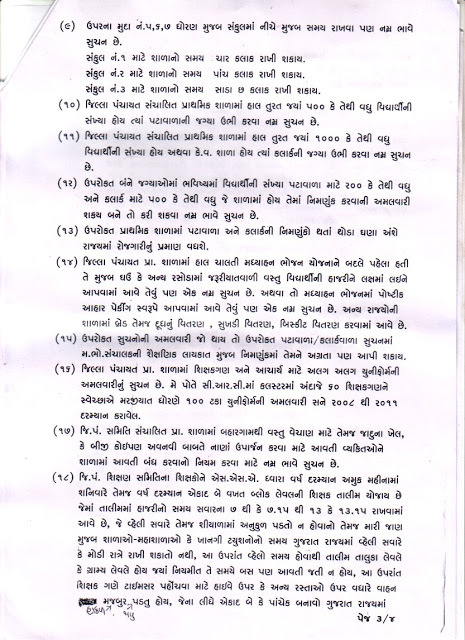 (6) Tpeo no charjw htat ne nahi siniyar shixak ne apvo. (7) Online badli ni smixa. 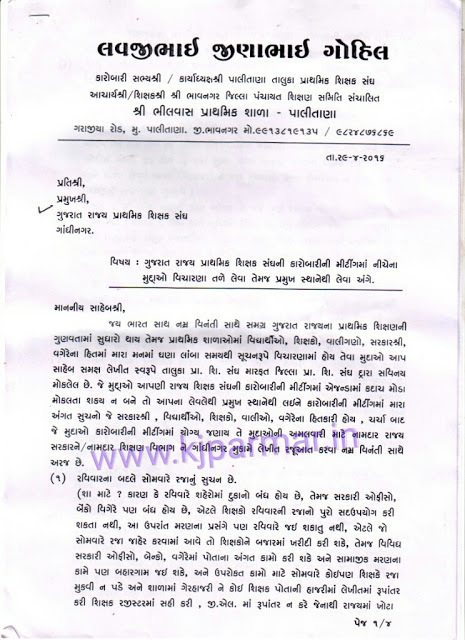 (8) Online pagar karva babat sidhi tpeo na khatama nakhvo. (9) Shixsk jyot lavajm 130/- varshik 1-6-16 thi lagu. (10) Shala ma vividh ujavniyo Ange charcha. (11) Pati patnima agrta shixsk damptine apvo pachhi bija vibhagna ne. 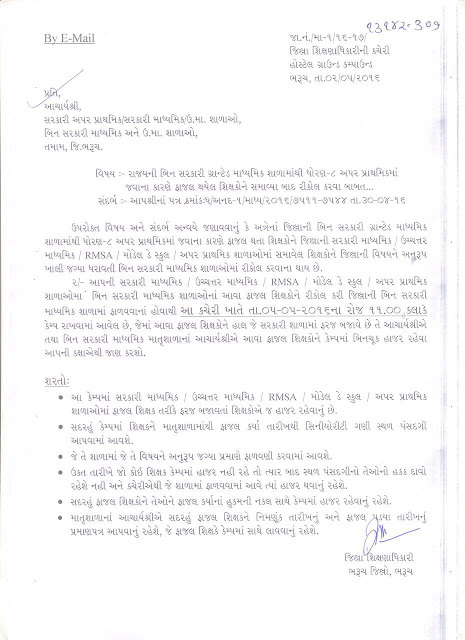 (12) CRC brc ni pela badli kari shke pachhi Raji namu apv . 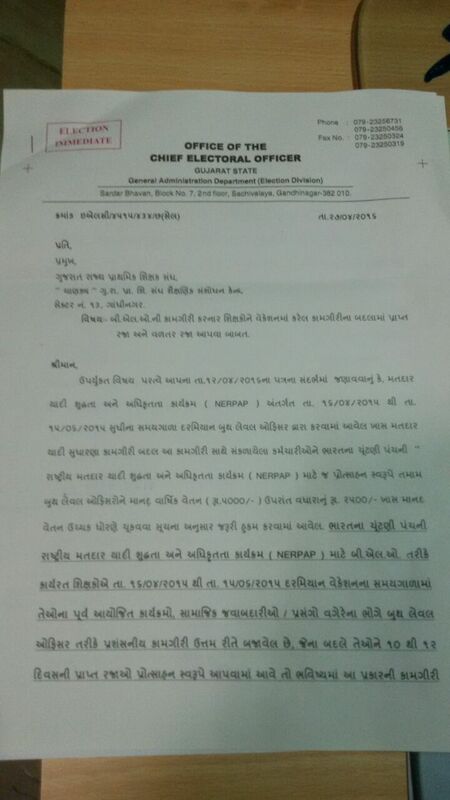 (13) Aekvar navi Bharti thya pachhi pachhu shixak ma javu hoy to 3 varsh pachhi j rajinamu apvu. 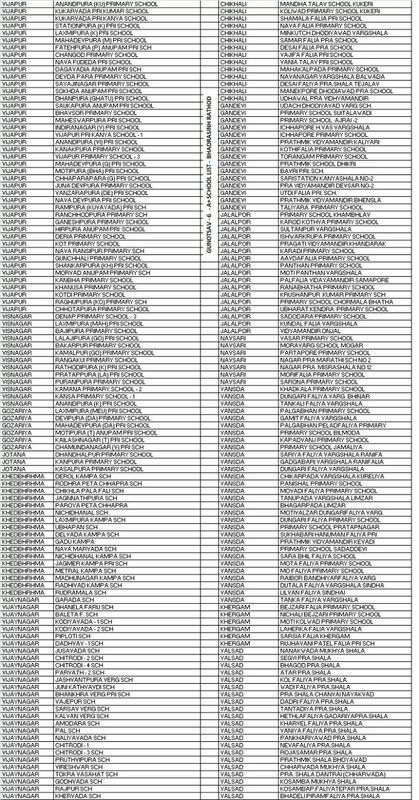 DAILY ONLINE MOCK TEST NO :- 32 BY TET HTAT GURU. CLICK HERE TO GIVE ONLINE MOCK TEST. 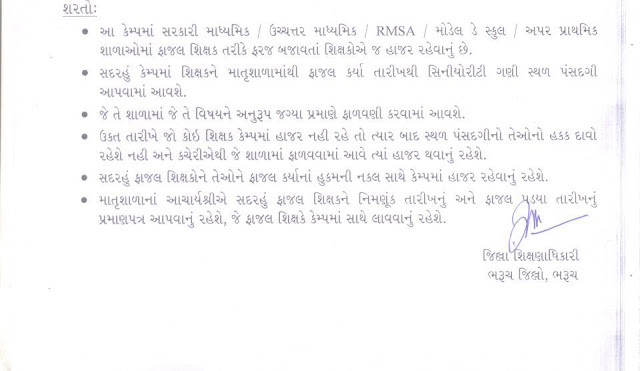 GUJARAT RAJYA PRIMARY SHIKSHAK SANGH NE KAROBARI SABHYA SHREE E KARELI RAJUATO. 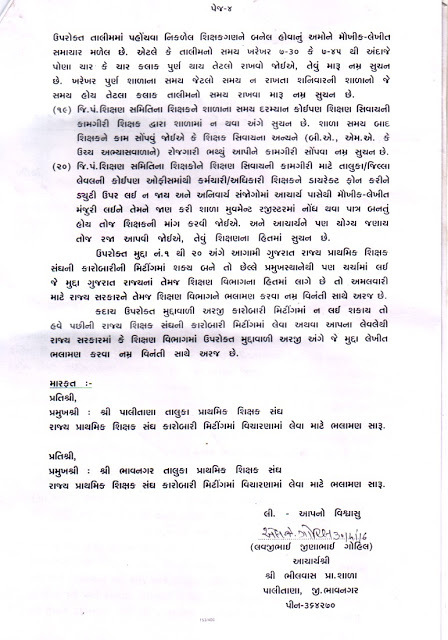 BHARUCH :- GRANTED SCHOOL NA FAJAL SIXAKO UPPER PRIMARY MA MUKEL HOY TENE RECALL KARVA BABAT LATEST PARIPATRA 02-05-2016. GPF VYAAJ DAR YEAR 1996 THI 2015 SUDHI THAYEL VADHARO.